Head south on Broadway from downtown St. Louis and you’ll soon find yourself in a unique part of town. You’ll be in Carondelet, a large neighborhood that seems to maintain its own identity. The vibe is different there because Carondelet used to be a separate city entirely. Incorporated in 1851, Carondelet did not become part of St. Louis until it was annexed in 1870. Carondelet was first settled by a man named Clement DeLore Detreget in 1767. He was a Frenchman, but the future of Carondelet would be all German. In 1829, a German emigration writer named Gottfried Duden published a famous book titled Bericht über eine Reise nach den westlichen Staaten Nordamerika’s (Report of a journey to the western states of North America). 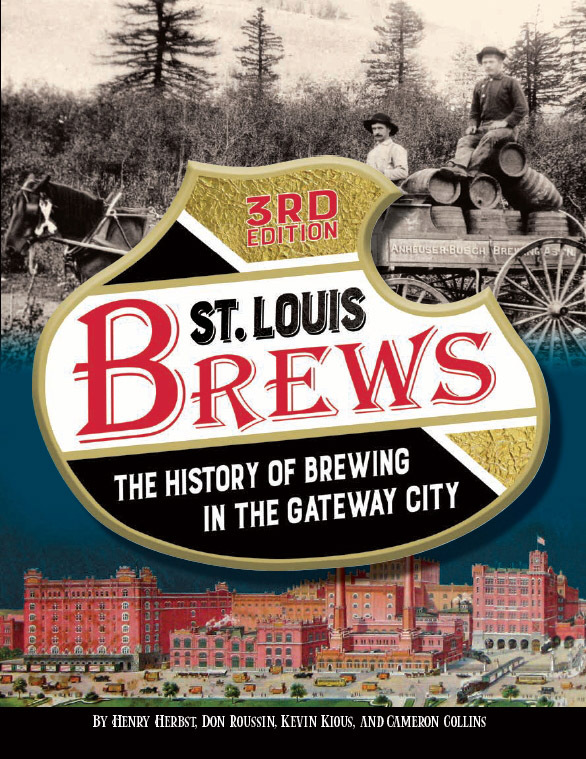 In this book, Duden refers to the area around St. Louis as a “Rhineland of the West”. His glowing report triggered a huge German immigration to Missouri starting in the 1830’s. By 1850, Census records show that over one-third of Carondelet was German. Today, Carondelet is known for containing one of the largest (and most beautiful) public parks in St. Louis. It’s also teeming with historical structures. In the 19th century, German stonemasons built sturdy homes throughout the area that could stand the test of time. Today, Carondelet contains the largest number of stone-built homes in St. Louis. Some of them are among the oldest structures still standing the St. Louis. One of them is located at 7600 Reilly Avenue. It’s known today as the Jacob Stein House. Jacob Stein was an important citizen of Carondelet prior to the Civil War. He was an immigration agent, so he also played a role in promoting the area to German immigrants. The neighborhood around his home even became known as “Steins Town”. Built in 1843, the house is a perfect example of the limestone construction used by German stonemasons at the time. Here’s a photograph of the Jacob Stein house in the late 1800’s. In the years after construction, one end of the home was converted into a tavern and a store. With the neighborhood filled with thirsty Germans working nearby iron and steel mills, it’s a safe bet that making beer readily available would be a profitable venture. The tavern has since been removed, but the original bar still exists inside the current home. I learned about this house and the German heritage of Carondelet while on a bicycle tour organized by Trailnet and sponsored by Great Rivers Greenway. On this tour, about twenty-five riders were treated to a historic tour of Carondelet by a brilliant guy named Harold Karabell. I’ve mentioned him before in my post about the Big Mound of St. Louis. He gives a great tour and he has an encyclopedic mind. A highlight of the day occurred when the current owner of the home came outside to determine why a bunch of people in spandex were gawking at his home. He was a very friendly gentleman who was well aware of the significance of his home. He even produced a photograph he owns of Jacob Stein, the original owner. The Jacob Stein House was named a St. Louis city landmark in 1976. I’ll have other posts from this bicycle tour of Carondelet coming soon. Note: I can’t recommend Trailnet highly enough. They have a calendar filled with bicycle rides and similar tours of St. Louis. Not only do they do great work for bicyclists, they do great work for the city of St. Louis. It’s only $55 to become a member, and it’s worth every penny. The drink section of this post took me to a location that I have been meaning to visit for quite some time. One of the great things about living in St. Louis for the last few years has been taking part in the craft beer explosion that’s happened in this town. New micro-breweries such as Square One, Civil Life, Urban Chestnut, and 4 Hands have popped up all over the city. Carondelet has the distinction of having one of the best new additions to the St. Louis beer scene: Perennial Artisan Ales. Many craft beer aficionados had been telling me to check this place out for some time. I just hadn’t made it down there since Carondelet is not in my neck of the woods. Since the Trailnet bike tour took me right past their location, I thought it’d be a perfect time to head over and see what they had to offer. Perennial focuses on small batches of beer using ingredients and flavors that defy traditional categories. The building offers a spacious bar area and I found the service to be extremely friendly (in other words, they gave me a big free sample of cider). To begin, I ordered their Blueberry Brown Rye. I did this on purpose, since I normally don’t care for fruit flavor in anything. I love fruit, I love food, and I love beer. But I prefer to keep it all separate. Just like I don’t like blueberries in a bagel, I usually don’t like blueberries in a beer. However, Perennial’s recipe swayed me on this day. The fruit taste was subtle and I found it extremely tasty. I ended up having two. I followed that up with their Hommel, a dry-hopped Belgian pale ale. Again, very delicious. In all, I highly recommend Perennial, especially to beer lovers looking for something a bit different. I look forward to getting back to Perennial and I hope they continue to make an impact on the St. Louis beer scene. Hey Cameron, I am a descendant of Jacob Stein. I’d love a copy of that photo the home owner is holding. Any ideas how to get in touch with him? Thanks for reading! Well, when we were on that bicycle tour, he simply walked out when he saw a bunch of us gaping at his house. He was very friendly, so maybe just knocking on his door could work (if you are in town)? However, if he had a copy of the photo, maybe it’s available elsewhere. The first place I would check would be the Carondelet Historical Society. They are great people and may have an image of Jacob Stein. I’ll try to look around myself. If I find anything, I’ll let you know! Hi Cameron. I am also a descendant of Jacob Steins, he is my Great Great Grandfather. I spent some time yesterday with a cousin who has done a lot of the Steins family history, thus I came home and looked up as much info on the internet as I could find and found your site. I was wondering if you can put me in touch with Lori Jean Wilson who left the above comment so we can see our linkage and where we each fall in the family tree. Thanks so much. And the blacksmith was a big vicious man who was known to bully many people. Great story! I’ll look into it. Thank you!